On November 26, 2018, Caltrans made available the Final Environmental Impact Report/Environmental Impact Statement (Final EIR/EIS) for the State Route 710 North Project. 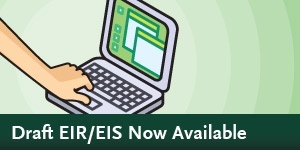 The Final EIR/EIS identifies the Transportation System Management/Transportation Demand Management. Copies of the SR 710 North Project Final Environmental Impact Report/Environmental Impact Statement (EIR/EIS) can be reviewed and obtained at the Caltrans, District 7 Office (100 South Main St., Los Angeles, CA 90012) on weekdays from 7am to 3pm. Metro will coordinate efforts with the various cities to begin implementation of the TSM/TDM projects identified in the Final EIR/EIS. In response to the May 2017 Metro Board motion , Metro staff will also work with the cities/project sponsors to develop and implement eligible mobility improvement projects to bring immediate relief. In 2008, two -thirds of Los Angeles County voters approved the local sales tax Measure R which mandated transportation upgrades throughout the County. Measure R specifically allocated $780 million for SR 710 North traffic congestion relief efforts. Since the inception of project, Caltrans and Metro have been working in partnership to alleviate mobility constraints and traffic congestion in this study area that encompasses western San Gabriel Valley and the east/northeast area of Los Angeles. Caltrans, the lead agency responsible for compliance with California Environmental Quality Act (CEQA) and National Environmental Policy Act (NEPA) requirements, released the Draft Environmental Impact Report/Statement (EIR/EIS) on March 6, 2015 and a Focused Recirculated Draft Environmental Impact Report/Supplemental Draft Environmental Impact Statement [Focused RDEIR/SDEIS] in May 2018. 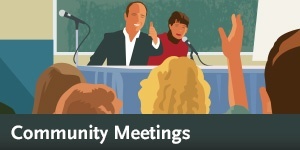 More than 300 meetings and/or briefings with community groups/organizations, members of the public and elected officials were held for the project. Caltrans received more than 8,000 comments about the project, including written comments, formal letters, emails, speaker/comment cards, verbal testimonies and online submittals. Reallocating the remaining Measure R funds to mobility improvement projects that will relieve congestion resulting from the SR 710 gap in the transportation system within the SR 710 North Study Area, with priority given to projects that are proximate to Interstate 10. Allocating other state and federal funds dedicated for the project for mobility improvement projects in the Central sub-region, including Unincorporated East Los Angeles. Initiating the identification of projects to be funded through the SR 710 Rehabilitation Account (derived from the sale of Caltrans-owned homes along the corridor), as prescribed in Government Code 54237.7. Caltrans concurred with the Metro Board of Directors by selecting the TSM/TDM Alternative as the Preferred Alternative for the Project.